I made it to Meteora early last year, unfortunately I only got to spend one morning there. As you can see from this photo, there are far too many monasteries, clinging to these rocks, to visit in one morning! In my post about Delphi I mentioned that I had made a return to Greece last February to tick a couple spots off the list that I’d missed, while inter-railing across Europe, due to an extended stay in Thessaloniki. 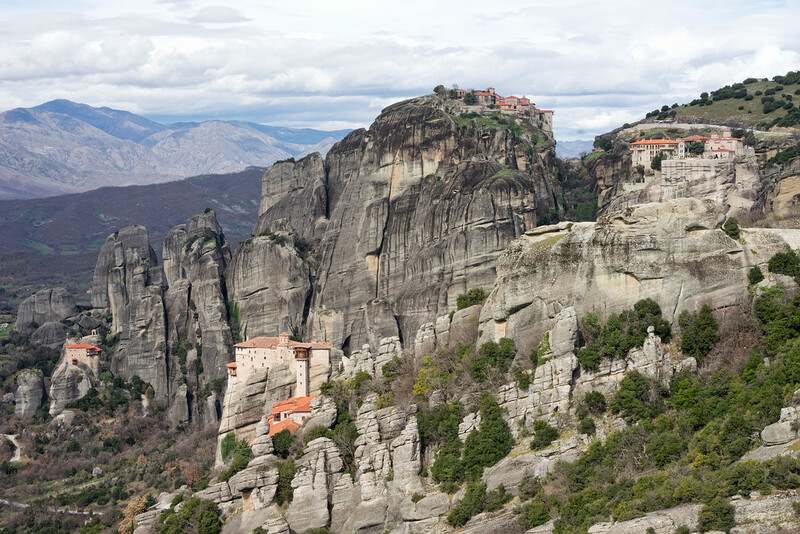 The other place that I’ve been wanting to get back to is Meteora, where monasteries perch atop rock pinnacles. They used to be cut off from civilization with no roads leading to them. The method used for entry by most was formerly a rope net basket that the monks would climb into, to be hoisted up by the monks above turning a wooden winch. Standing on the edge of these and looking down was pretty terrifying.